Ian, our man on the ground in Phuket and up-and-coming golf reporter has this to say about Phuket’s newest golf course; Punaka Golf Club. I have just come back from visiting Phuket’s latest golf development in the South of the island and was very impressed with what I saw. Really, I should not be surprised as the designer Jonathan Morrow is the man behind the very impressive Red Mountain Golf Course also in Phuket. However, in Mr. Morrow’s latest project the only similarity between the two Phuket golf courses is the same Novotec grass used on the greens at Red Mountain and Phunaka. Other than that, there is a very different feel about this course from Red Mountain and indeed many other golf courses in Thailand. The nine hole par 31 Phuket golf club has some great par 4’s interspersed with 1 par 5 and the rest challenging par threes. Phunaka will open in June adding to the on site golf academy. Not only will it be an excellent teaching venue for those interested in golf lessons in Phuket, but Phunaka Golf Club will be an affordable addition to golf in Phuket. 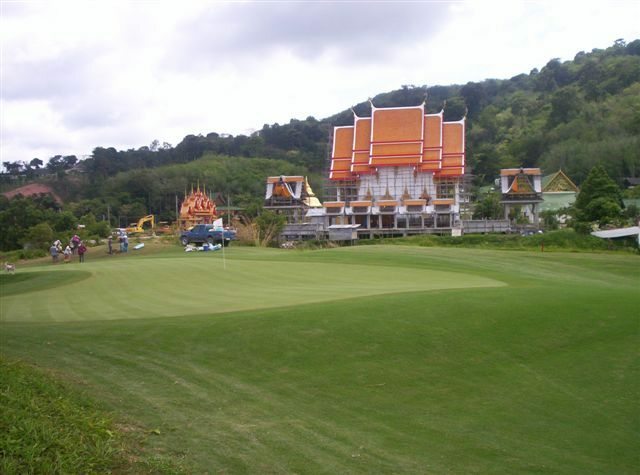 Locals and golf tourists alike will be able to play Phunaka as green fees start at 750 baht for nine holes. I believe it be as popular for good players as well as a great starting point for beginners or mixed couples. Floodlights are already in place so the first time night golf will be available in Phuket. This is ideal for those with Thai girlfriends or wives who were previously afraid to take up golf due to the fare of being in the Sunday all day. The Phunaka Golf Acadamy has a very impressive short game area which again will again attract advanced golfers as well as beginners. Individual, group and holiday golf packages are available from several places online, so why not go and learn golf in a fun, but professional manner on a great practice facility. By the way, when not golfing, Ian can be found at the Yorkshire Inn or Morgan Travel.